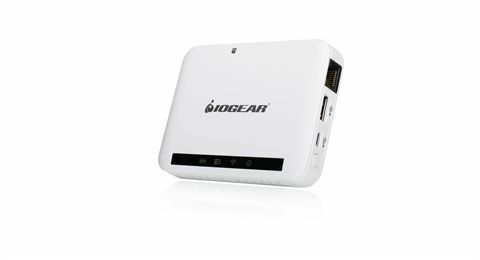 With the IOGEAR MediaShair Hub you can now take your movies, music, photos and documents on the go and share them with all your wireless devices. Just plug in your SD card, USB flash drive, or even your portable USB hard drive into the media hub and the built-in Wi-Fi connection shares the content with up to 7 Android, iOS, or laptop devices within range. The MediaShair Hub has a built-in battery for up to 9 hours of use between charges, and if your playback devices runs low on juice just plug in your charging cable to the USB port and the MediaShair Hub becomes a portable power station! Designed to be the perfect travel companion, the MediaShair Hub's Ethernet port even converts a wired internet connection to Wi-Fi. The MediaShair Hub is so versatile it can even serve as a Wi-Fi SD card reader for devices without a card slot or USB port! Tired of not having enough space on your iPad for your movie collection? No problem, just plug in your external hard drive into the media hub and access hundreds of movies at any time! Taking the kids on a trip? With the MediaShair Hub they can each enjoy their favorite music and videos on their own wireless device. Does your hotel room only have wired internet? 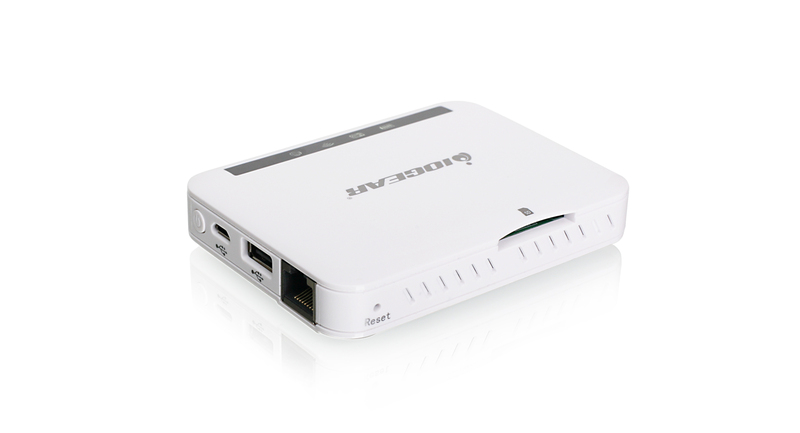 Simply plug the Ethernet cable into the MediaShair Hub's RJ45 port and use it as a media hotspot now all your wireless devices can connect to the internet. 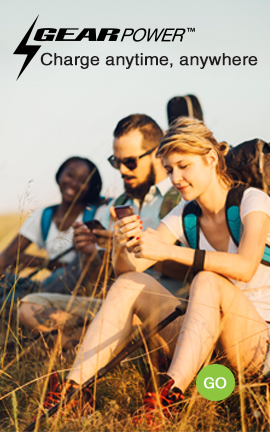 Want to quickly share photos while on your trip? Pop your camera's SD card into the slot on the MediaShair Hub, and then view or save your photos on any wireless device in range. What good is a media sharing device without full app support for the two largest mobile OS platforms? With the MediaShair Hub you won’t have to find out the answer since IOGEAR provides free apps for both! Visit the App Store to download the app for your iPod, iPhone and iPad, or visit the Google Play store to get the app for your Android tablet or smartphone. Great news for Mac users- the MediaShair Hub has built-in support for Mac storage! With drivers for NTFS, FAT32 and HFS+ the MediaShair Hub it is compatible with nearly all pre-formatted Windows and Mac storage drives. There’s no need to format your external drive for MediaShair, just unplug it from your computer and take it with you for wireless file sharing on the go! 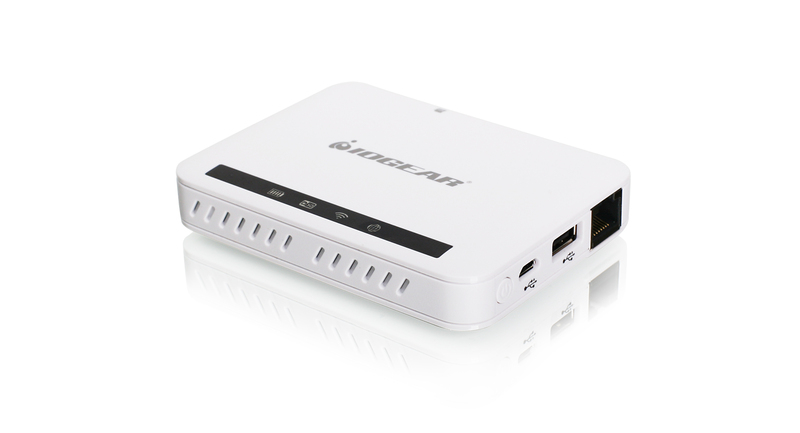 IOGEAR’s MediaShair Hub is your ultimate traveling companion! Besides keeping you entertained on the road with access to your favorite movies, music, photos and files, the MediaShair Hub turns your hotel’s wired Internet to WiFi making it a great travel router. 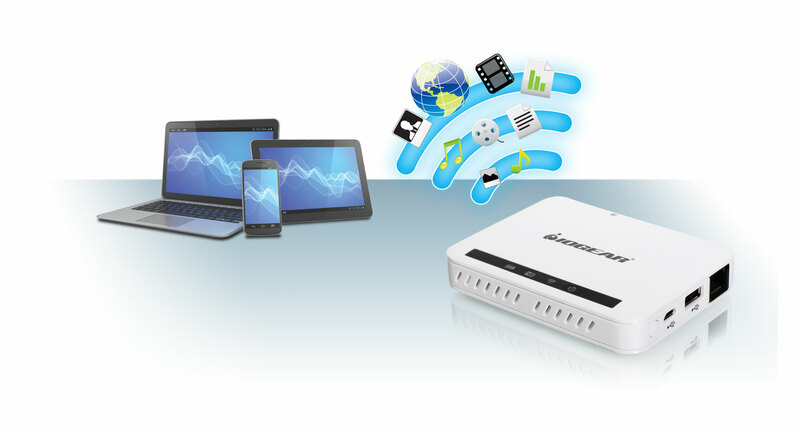 If your hotel has WiFi but charges per IP connection, use the MediaShair Hub as a WiFi Hotspot to repeat wireless Internet to all your devices for a single charge. If your smartphone is running low on battery while you are away from a power source, plug in your phone’s charging cable and use the MediaShair Hub to give you a quick boost. Ever run out of space on your camera while on vacation, or want to show/share photos while stopping for lunch? Just pop your camera’s SD card into the MediaShair Hub and your family can instantly see photos on their devices, or share them via Facebook, email, etc. If your SD card is full, simply connect a flash drive or external hard drive to the MediaShair’s USB port and transfer the photos to make space for more. Want to stream movies in high definition? No problem. With the EXFAT drivers built into the MediaShair Hub you can play files larger than 4GB without issue, so say good bye to standard definition! Get the most recent firmware updates here.